Lord, If You Had Been Here…. When Lazarus dies, his sisters, Martha and Mary, are overwhelmed with sadness, confusion and probably not a little anger. 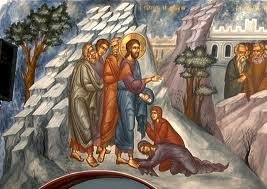 A few days before Lazarus’ death, Martha and Mary sent messengers to Jesus telling Him, “Lord, behold, he whom you love is sick.” Martha and Mary reached out to Jesus because they believed in Him. They believed in His love for them and their brother. They believed that Jesus not only could, but would heal their brother; and so they reached out to Jesus. And Jesus heard their cry for help. He received the message but then waited two days before beginning the two or three day journey to Bethany. Jesus waited, and Lazarus died. The Gospels tell us that Lazarus was a friend of Christ. Mary had poured out costly perfume on Jesus’ feet and wiped them with her hair. Martha had served meals for Jesus and his disciples. They had seen Jesus heal the sick. They had seen him heal multitudes of strangers. All who came to Him, He healed. And yet it seemed to Martha and Mary that in their hour of greatest need, their friend Jesus, whom they loved and served, their friend Jesus wouldn’t come and heal their brother. He wouldn’t come on time. He wouldn’t hurry up. He would just let their brother die. “Lord, if you had been here,” they cried. Many devout followers of Christ have had experiences similar to Martha and Mary’s. It seems always to be the devout followers of Christ who suffer the most. Of course death—in all of its forms: sudden loss of life; slow, lingering illness; dementia; moral failure; betrayal; misunderstanding; irrational hatred; sudden poverty—death in all of its forms brings suffering and sorrow to everyone and anyone it touches. However, for those who believe, for those who believe in the God who does wonders, those who believe in miracles, who know that God can do whatever He pleases, for these there is a unique kind of suffering associated with deaths. “Lord,” we cry, “where are you?” “Lord, if you had been here….” For those who believe, deaths are often accompanied by a strong sense of the absence of God. Mary, on the other hand, when she confronts Jesus, is different. After her initial words, “Lord, if you had been here…” Mary only weeps. She has no more words. Mary weeps and those who are with her weep and Jesus weeps. We know from the Gospel that Jesus does raise Lazarus from the dead. The hymns of the Church teach us that this is to be understood as a confirmation of the universal resurrection. In Christ, everyone and everything is raised, even though in time this may yet be a future event. Christ is the resurrection and the life, even though we still must pass through time, through the confused words of Martha and the tears of Mary, through what the Psalmist calls the Valley of Tears. I have a german shepherd who loves to go for walks. She walks on leash very well—so long as she doesn’t think she knows where we are going. Once she thinks she knows, then she starts to pull on the lead. Then I have to change direction. I have to train her to pay attention to me, not to where she thinks we are going. Jesus invites us to walk with Him. He amazes us with His signs and wonders, with His love and with the experience of His nearness. Yet instead of paying attention to Him, we strain our focus to where we think God is going. We have visions and dreams that we are sure are His, that we are sure are pointing us to where God is going. We deduce principles and guidelines. We teach others where we think God is going (and how to help God get there). We begin to interpret every drop of Grace as a sign confirming what we think we already know—rather than as a sign pointing back to the Giver, as a sign calling us to attend to our Master. Some of us, the more stiff necked (I suppose), may need more disappointment to turn our gaze away from what is outside us, to teach us to see within us what cannot be seen outside us. Jesus is the resurrection—even when death seems to be winning. Jesus is the resurrection—even when our loved ones don’t understand. Jesus is the resurrection—even when the Church seems deeply broken. Jesus is the resurrection and the life. When we believe in Him, though we die (and die we will) yet we shall live. And as we live and believe in Him, we shall never die. A divine mystery: We believe and we die and we live and we believe and we never die. It is a mystery only known in the heart, where Christ lives, where both life and death teach us to focus our attention.